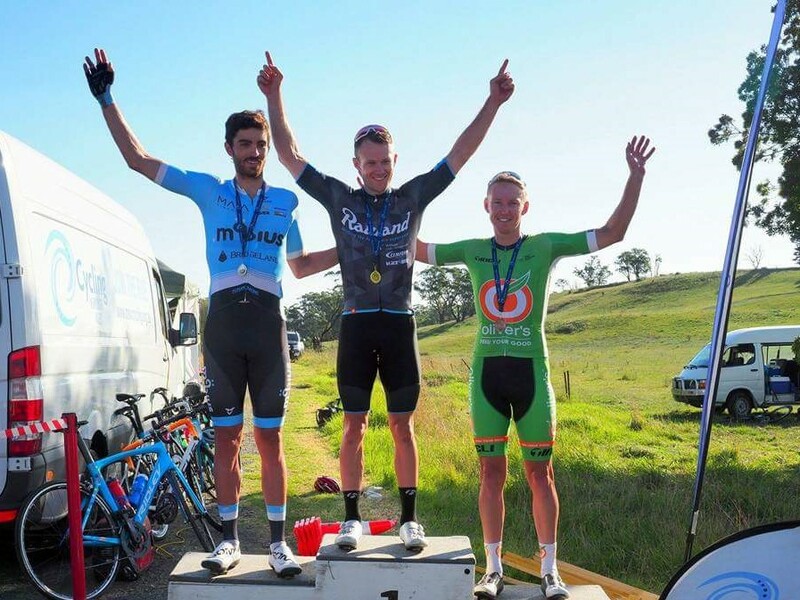 Clinton Edwards has muscled his way to a third place finish at the NSW Road Championships, held in Mittagong yesterday. The 144km event was held in 30 degree temperatures, but the heat was no problem for Edwards, the only Oliver’s rider in the elite category on the day. Edwards was part of a 7 man attack that split away from the peloton with around 40kms to go. The group worked together well to bridge a two and a half minute gap to the lead 3 riders, who attacked in the early stages of the event. The challenging uphill finish saw Gene Richards (Rauland) & Jesse Coyle (Mobius-Bridgelane) gap the rest of the lead group at the base of the climb. Edwards saved his sprint until the last 250 meters but was unable to catch the pair who claimed first and second respectively. 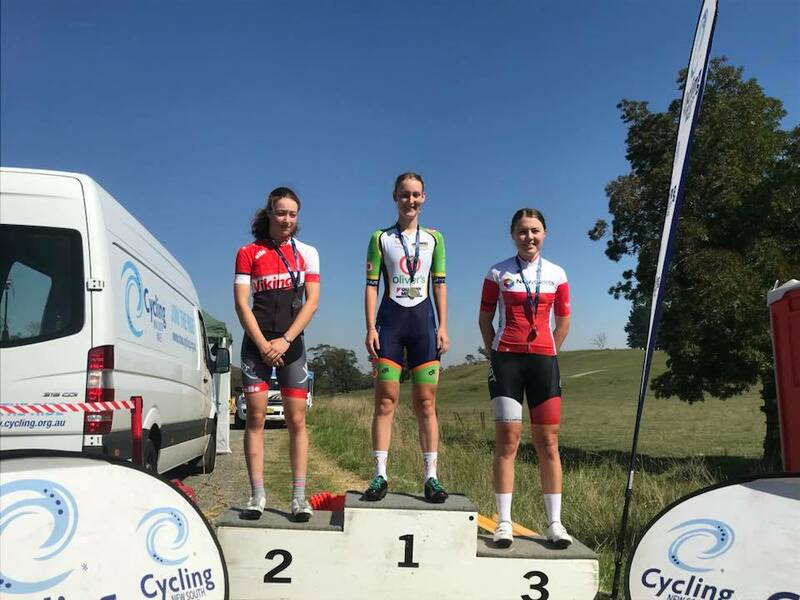 The Oliver’s – Hunter District Development Team also tasted success on the weekend. With Portia Rennie taking gold in the under 19 women’s event. Teammate Lucie Fityus finished 4th. 18 year old Makenzie Scott also finished 14th in her first season in the elite women’s category.